This boot looks pristine and it is, but it's high-low appeal is always very apparent. 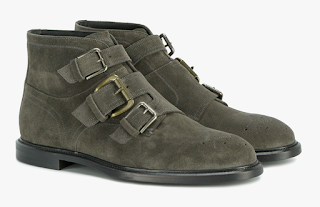 Dolce & Gabbana's Buckled Ankle Boot is a versatile boot that can be paired nicely with crunchy denim and an oversized sweater or with cropped trousers and a menswear greatcoat. 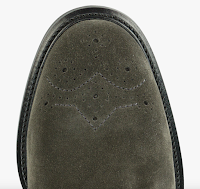 The upper is a crisp and relatively neutral grey suede with handsome brogue tooling, monk strap seaming and mixed metal hardware on the buckles. 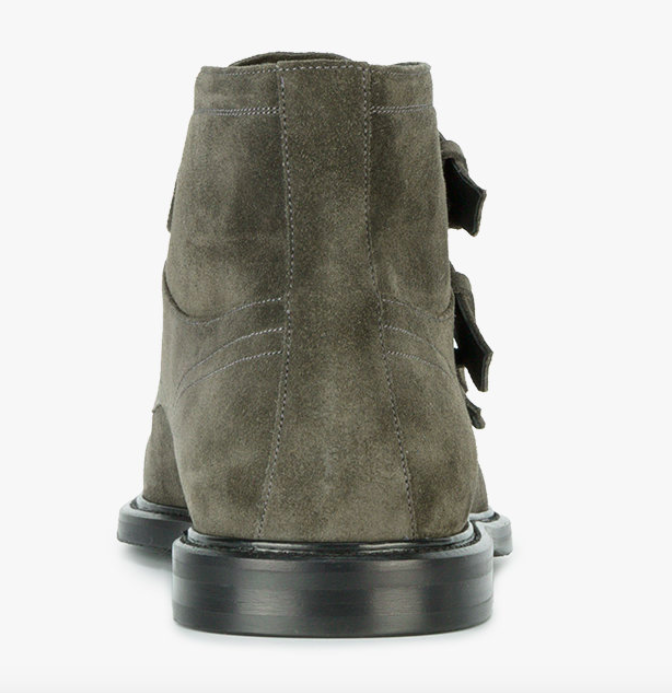 Set onto the black contrasting sole and this boot becomes a dress up dress down dream of the season. Available now at BrownsFashion.com.